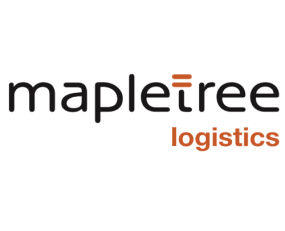 Mapletree Logistics Trust Management (MLTM) has announced the proposed acquisition of a logistics property in South Korea. The property is currently owned by Wonjin Logistics, one of the leaders in the Korean warehousing and property development market, and is valued at $36.6m by CBRE Korea. The property comprises two blocks of multi-tenanted dry warehouse with a total gross floor area (GFA) of about 29,325 sq m and land area of 31,055 sq m. It is located in Gyeonggi-do, a province close to Seoul. The property is fully leased to three established 3PLs with a weighted average lease expiry of 4.3 years by net lettable area. Wonjin Logistics leasebacks over 60% of the property’s GFA, from where it provides services to Lotte, Amore Pacific, Carrier and many other Korean firms. The acquisition will be funded by debt and is expected to be completed by the fourth quarter of Mapletree’s current fiscal year, subject to satisfaction of relevant conditions and completion of regulatory filings.